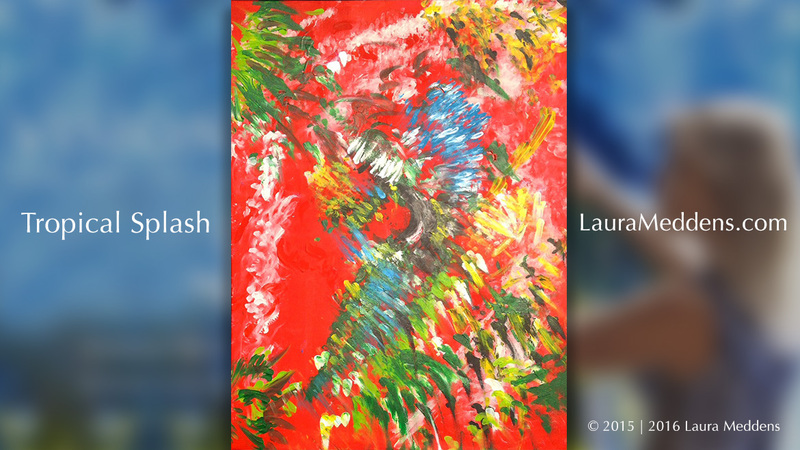 TROPICAL SPLASH started out as a blank canvas that I covered in red. Then I added white paint in an arc in which someone saw the head and neck of a swan. However, the paint started to run when I left it to dry, and so I was forced to build on it. 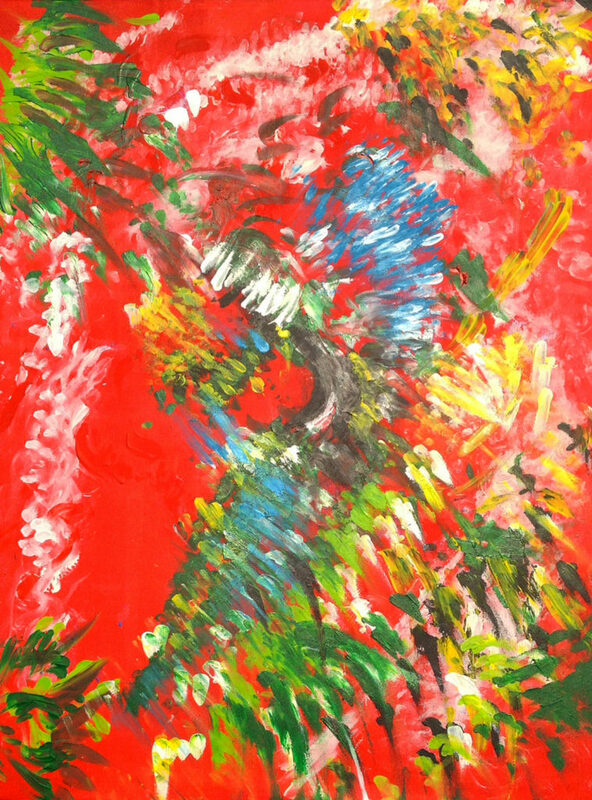 The end result reminds me of my time in Curaçao and all the tropical colours, aromas and the sounds of birds singing. Some people say they see a blue and white parrot in it, while others have seen a beautiful green seahorse. What do you see in it?